The investigative arm of the Department of Justice is attempting to short-circuit the legal checks of the Fourth Amendment by requesting a change in the Federal Rules of Criminal Procedure. These procedural rules dictate how law enforcement agencies must conduct criminal prosecutions, from investigation to trial. Any deviations from the rules can have serious consequences, including dismissal of a case. The specific rule the FBI is targeting outlines the terms for obtaining a search warrant. It’s called Federal Rule 41(b), and the requested change would allow law enforcement to obtain a warrant to search electronic data without providing any specific details as long as the target computer location has been hidden through a technical tool like Tor or a virtual private network. It would also allow nonspecific search warrants where computers have been intentionally damaged (such as through botnets, but also through common malware and viruses) and are in five or more separate federal judicial districts. Furthermore, the provision would allow investigators to seize electronically stored information regardless of whether that information is stored inside or outside the court’s jurisdiction. The change may sound like a technical tweak, but it is a big leap from current procedure. As it stands, Rule 41(b) only allows (with few exceptions) a court to issue a warrant for people or property within that court’s district. The federal rules impose this location limitation — along with requirements that the agentspecifically identify the person and place to be searched, find probable cause, and meet other limiting factors — to reduce the impact an investigation could have on people’s right to privacy. Now the FBI is asking for the authority to hack into and search devices without identifying any of the essential whos, whats, wheres, or whys — giving the FBI the authority to search your computer, tablet, or smartphone even if you are in no way suspected of a crime. All you have to do is cross the FBI’s virtual path. For instance, the proposed amendment would mean that agents could use tactics like creating online “watering holes” to attract their targets. Anyone who clicked on law enforcement’s false-front website would download the government malware and expose their electronic device to an agent’s search (and also expose the device to follow-on hackers). One obvious target for this strategy is any forum that attracts government skeptics and dissenters — FEE.org, for example. Such tactics could inadvertently impact thousands of people who aren’t investigation targets. This sort of sweeping authority is in obvious conflict with the Constitution. The Fourth Amendment makes it clear that the government cannot legally search your house or your personal effects, including your electronic devices, without (1) probable cause of a suspected crime (2) defined in a legal document (generally, a search warrant issued by a judge) (3) that specifically identifies what is to be searched and what is to be seized. The FBI is not the first government agency to find itself challenged by the plain language of the Fourth Amendment. Past overreach has required judges and Congress to clarify what constitutes a legal search and seizure in particular contexts. In the 1960s, when electronic eavesdropping (via wiretaps and bugs) came about, Congress established the Omnibus Crime Control and Safe Streets Act of 1968 (the Wiretap Act). 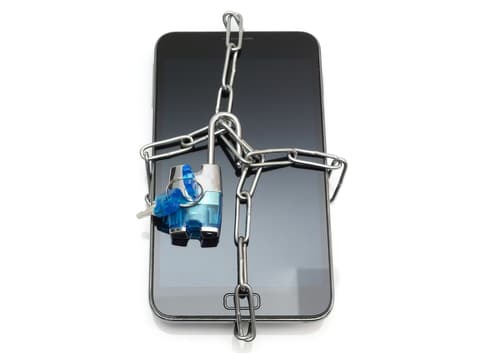 The law addressed concerns about these new surreptitious and invasive investigative tactics and provided several strictures on legal searches via wiretap or bug. Since covert investigative tools can be hard to detect, it was important to institute more rigorous standards to keep agents in line. What seems most troubling, though, is that the FBI is attempting to override the Fourth Amendment, along with the body of law developed over the years to reign in surveillance powers, through a relatively obscure forum. Instead of seeking congressional authority or judicial clarification, it has sought a major power grab through a procedural rule tweak — a tweak that would do away with jurisdictional limitations and specificity requirements, among other important checks on law enforcement. The request seems objectively — and constitutionally — offensive.